Emperor Haile Selassie of Ethiopia served from 1930 until 1974. The Ethiopian emperor, who ruled from 1930 – 1974, is best remembered for his support of African unity and his role in inspiring Jamaica’s Rastafari movement. 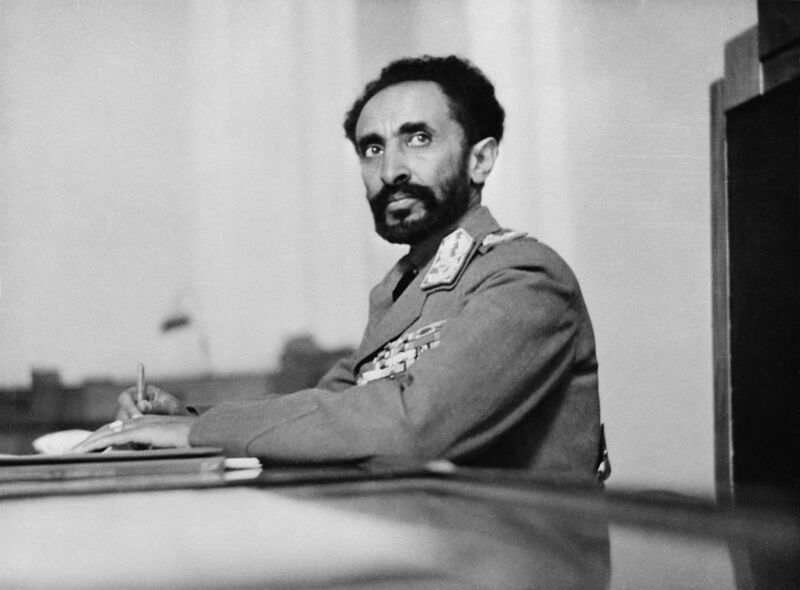 Background: “None could be more considered more central to the modern history of Africa’s longest independent nation, Ethiopia, than Emperor Haile Selassie.” Learn more about Selassie’s legacy with this Q&A and timeline. Activity: Learn how Selassie influenced the Rastafarian religion, and listen to NPR’s segment “A Visit to Ethiopia’s Rastafarian Diaspora”. 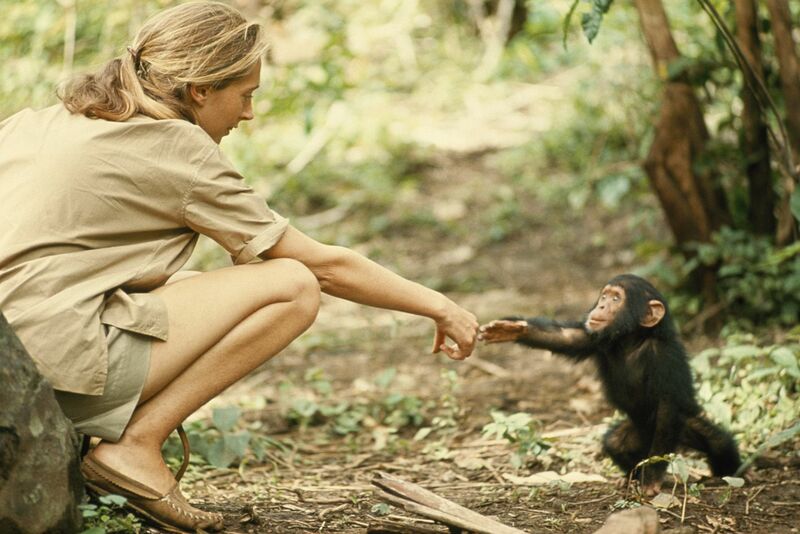 Jane Goodall introduces herself to little Flint. The famous primatologist, who began her career studying chimpanzees in Tanzania in 1960, continues to raise awareness about wildlife conservation. Video: Watch this video about Jane Goodall’s life and work. Background: Learn more about Jane Goodall through articles, videos, and interactive opportunities. Activity: Use our idea set to get students to think like Jane—observing, conserving, communicating. 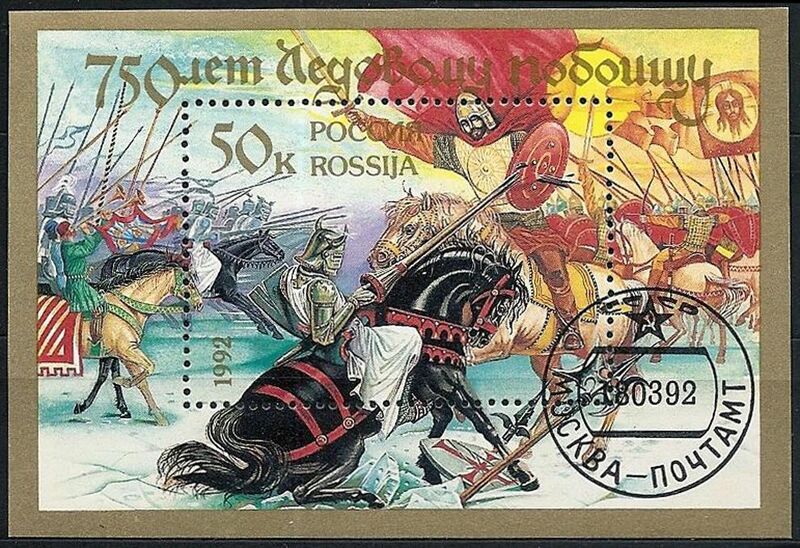 This Russian stamp commemorates the 750th anniversary of the Battle of the Ice, where Russian troops defeated an invading force from Western Europe on the frozen surface of Lake Peipus. Many invading knights drowned in the lake as the thin ice was crushed beneath their heavy armor. Stamp courtesy A. Sdobnikov, courtesy Wikimedia. This work is not an object of copyright according to Part IV of Civil Code No. 230-FZ of the Russian Federation of December 18, 2006. The gruesome battle in which Russian forces defeated the Teutonic Knights established political borders that remain today. Map: Take a look at Estonia’s border with Russia. How much of that border is determined by Lake Peipus? Activity: Have your students discuss this clip of the Battle of the Ice from the classic Russian film Alexander Nevsky. How does the director of the film tell the story mostly without dialogue? How does music contribute to the atmosphere? What clues let the viewers know what characters the filmmaker wants them to have sympathy with? 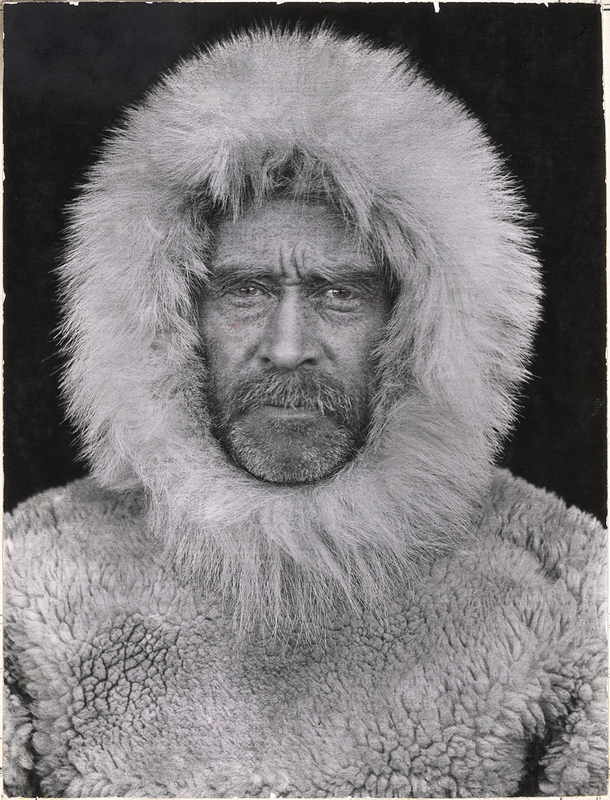 Explorer Robert E. Peary made 23 attempts to reach the North Pole before his disputed 1909 expedition. It is still disputed whether American explorers Robert Peary and Matthew Henson actually reached the North Pole in on this expedition. Map: Navigate the North Pole! Background: Facts about the North Pole’s history, geography, and resources. Activity: Historians are still debating whether Peary and Henson were the first to reach the North Pole. Have students read this article about the controversy, engage in research, and hold a class debate. Workers at the Lunsar Ebola Treatment Center in Sierra Leone followed guidelines set by the WHO to respond to the Ebola outbreak of 2014. Photograph by Pete Muller, National Geographic. The UN agency has provided emergency medical assistance after disasters, fought the spread of diseases, and implemented public health campaigns. Visuals: Browse WHO’s terrific library of infographics on topics such as adolescent health, environmental health, and the Sustainable Development Goals (SDGs). Background: What does the WHO do? Activity: Engage in this lesson plan in which students use role-play to learn about the challenges of providing medications to developing countries.